President Obama believes sub-Saharan Africa could be the world’s next major economic success story. That is why in June 2012, he issued the U.S. Strategy Toward Sub-Saharan Africa (PDF) to escalate the U.S. efforts to stimulate economic growth, trade, and investment in the region. One year later, the President is in Africa to highlight our success under this strategy. A key component of the President’s strategy is the Doing Business in Africa (DBIA) Campaign, which was launched by the U.S. Department of Commerce in Johannesburg, South Africa last November. Its main objective is to bolster federal trade promotion and financing capabilities in order to help U.S. businesses obtain trade and investment opportunities. 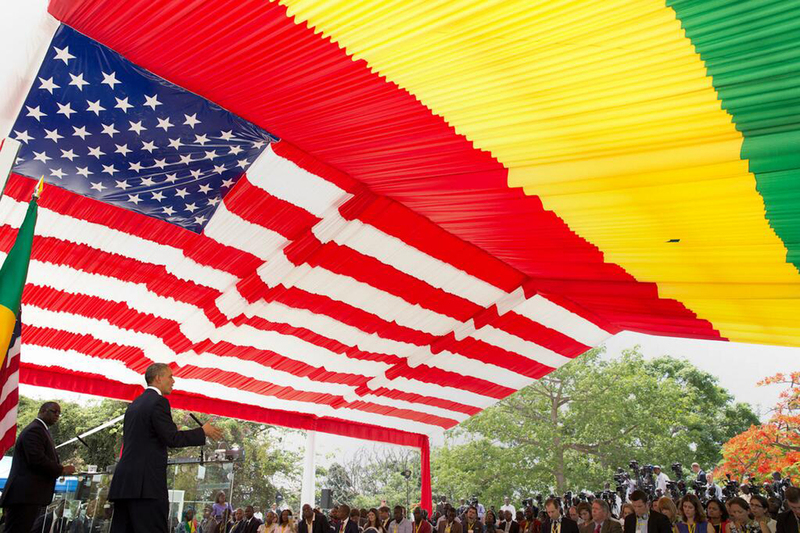 With these opportunities, the United States’ commercial relationship with Africa will continue to grow. Since its unveiling, Commerce has been working alongside other federal agencies to encourage U.S. companies–with a focus on small- and medium- sized businesses and African Diaspora-owned business–to trade and invest in the region. A little more than six months into the Doing Business in Africa Campaign, we wanted to share some of successes with you. The first of these developments was an online Africa Business Portal. This portal was created to give businesses the federal resources necessary to succeed in African markets, specifically with export and investment opportunities. Then in February, a DBIA White House event focused on Diaspora communities was held to highlight the experience and commercial relationships that U.S. companies have already established with these communities in the region. In March, the U.S.-Africa Clean Energy Development and Finance Center in Johannesburg, South Africa was launched in order to give the U.S. private sector and our sub-Saharan African partners the ability to establish a U.S. government contact for support with clean energy export and their investment needs. There have been multiple events across the country focused on Africa. The “Doing Business in South Africa” workshop in April, which was co-organized by the South African Consulate and the Department of Commerce Chicago, was attended by more than 70 companies. In May, Commerce hosted the Access 2013 Trade Forum in San Diego, which brought regional experts from throughout the U.S. government and private sector together to show the full extent of business opportunities in the region. Trade promotion programs focused specifically on Africa have also been developed, such as targeted trade missions and improved International Buyer Program events. Through these events, more Africa buyer delegations will be brought to the United States, especially in sectors such as health, energy, water, and the environment. The Department of Commerce’s U.S. Foreign and Commercial Service officers throughout the U.S. have undergone increased training so that they can better advise U.S, businesses on how to enter sub-Saharan African markets, and can provide U.S. companies with information on specific challenges and opportunities. Our work won’t stop when the President concludes his trip to Africa. In fact, with all of the developments under the President’s strategy and our Doing Business in Africa Campaign, we can’t wait to help more businesses succeed in these exciting markets. If your company is interested in expanding to this profitable region, sign up for email updates to get the inside scoop from top U.S. Officials, access special export financing programs, and much more. Or visit www.export.gov/africa for more information.